Why Did Netflix Cancel Daredevil and Its Other Marvel Titles? GTDEBRIS » COMIC BOOKS » News » Why Did Netflix Cancel Daredevil & Its Other Marvel Titles? 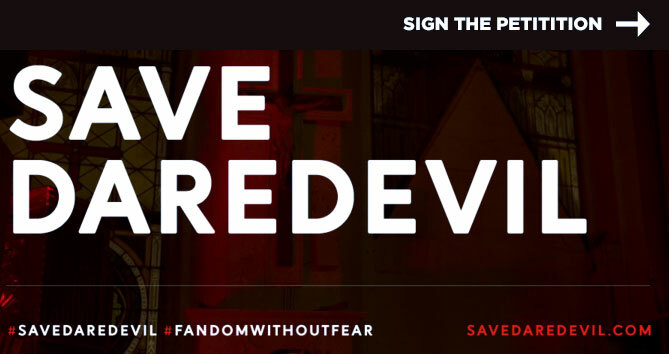 UPDATE: A new petition on Change.org is gaining steam to #SAVEDAREDEVIL. Click on the image below to add your name. It’s always sad to see a show you love get canceled, especially when it’s based on an established work, but in most cases, you can’t really blame the company producing the work. If the costs to make a product are more than the product’s worth, it’s most likely the only option. But as it relates to Netflix’s Daredevil, that is not the case. So Why Did Daredevil Get Cancelled? While there is a case for other Marvel Netflix Shows to be cancelled (i.e. The Defenders, Luke Cage, Iron Fist – see IGN’s analysis of the Marvel Netflix Cancellations here), Daredevil ranked 4th among ALL Netflix original content last month, and 4th overall across all streaming platforms, according to Parrot Analytics. Although Season 2 of The Punisher was released on Friday, another popular Marvel title, and Jessica Jones Season 3 is expected later this year, chances are Netflix was too far along in filming to pull the plug on them sooner. But the future of those shows is almost certainly over after this year. So no, Daredevil’s cancellation, at least at face value, does not appear to be a matter of low viewership, but rather, a decision made by Netflix for a reason they saw as more important than its customers. Did Disney Make Netflix Cancel Daredevil? Disney, the owner of Marvel, recently announced its 2019 plans of a new streaming app, Disney+, which will be a direct competitor to Netflix. The new app will now become the home to all of Marvel’s upcoming streaming movie premieres and new Marvel shows, including a series based on Sebastian Stan’s Winter Soldier and another on Tom Hiddleston’s Loki. But, did Disney make Netflix give up the rights to Daredevil, Luke Cage, Jessica Jones, The Punisher, Iron Fist and The Defenders? The answer to that is NO. These are owned by Netflix and they have exclusive rights to continue or cancel them as they see fit, as explained by IGN in their piece Is Disney’s Streaming App to Blame for Netflix’s Marvel Cancellations? IGN goes on further to explain why Disney’s decision to compete may have given Netflix reason to cancel Daredevil and the other Marvel shows, based on principle, but as a loyal subscriber to Netflix since its inception, I thought they’d put us before grudges and ego, but I was wrong. I still believe Netflix to be a fantastic producer of shows and movies, and the truth is that I will not cancel my service over this one decision, but it has certainly changed my view of the company. Characters like Daredevil, which have a history spanning over half a century, mean more to those who grew up with their stories then what publisher or company held the rights to their “brand” at any given time. These stories are a part of us and when a production company takes on the role of bringing them to life on screen, they are entering into an unspoken promise with the character’s fans that they will do everything in their power to do that story justice. They don’t always succeed, but the majority do try their best. Just ask Ben Affleck.